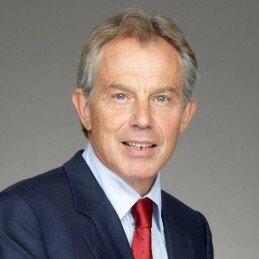 Tony Blair served as prime minister of the United Kingdom (1997–2007). He was the youngest prime minister since 1812 and the longest-serving Labour prime minister, and his 10-year tenure as prime minister was the second longest continuous period (after Margaret Thatcher’s) in more than 150 years. He is responsible for moving the Labour Party from the left towards the centre ground of British politics, resulting in an unprecedented three consecutive terms in power for the party. Blair’s decade in office was marked by uninterrupted economic growth and a more independent Bank of England. Blair also preserved much of Thatcher’s market radicalism while managing to place greater emphasis on social justice. Numerous minority groups found his government more sympathetic to their concerns—notably gays, who by 2004 were allowed to enter into civil partnerships recognized by the law. Many believed, however, that Blair’s role in restoring peace to Northern Ireland would come to be seen as his most enduring political legacy. Blair showed a remarkable ability to convey optimism and energy in the face of adversity caused not least by the failure in Iraq.